The Vancouver Condo Buzz » GRAND OPENING > MOSAIC’s Fremont Blue Rowhomes in Port Coquitlam FREMONT Real Estate Development > 2 to 4 Bedroom FREMONT PoCo Townhomes from mid $300’s! « Spring Launch from $264,900! Master Planned SEYLYNN VILLAGE North Vancouver Condo Development Underway by Denna Homes! 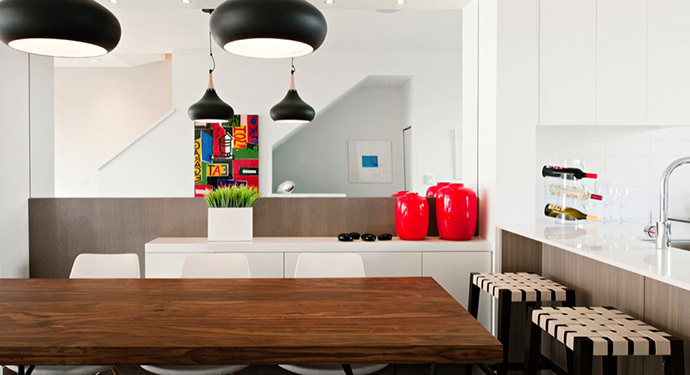 Phase 1 North Shore BEACON at Seylynn Village Condo High-Rise with FREE HOME GIVEAWAY. Live on the water at this newest Tri-Cities MOSAIC real estate development (one of our favourite builders!). Introducing the new Fremont Blue Port Coquitlam rowhomes in the Tri-Cities district. Home buyers can find 2, 3 and even 4 bedroom townhouse residences in this master planned riverfront community where you will be just steps away from the exciting Fremont Village cafes, events, big box retailers and boutique stores. The FREMONT BLUE Rowhomes at Fremont in Port Coquitlam real estate development is the first phase release and will offer saltbox townhouses with modern and contemporary interior finishes and features. They are located along the shores of Pitt River and will be launching Spring 2013. The Fremont Riverfront District in Port Coquitlam will be the only riverside master planned community in the Tri-Cities real estate dButistrict and Fremont Blue Townhomes will be the first phase of this 650 home neighbourhood. Affordably priced from the mid $300,000’s, the new Fremont Blue Port Coquitlam townhomes for sale will feature 2 to 4 bedrooms with a very eye catching and uniquely MOSAIC Home architecture and design called ‘Saltbox’ architecture. Some of the rich detailing of the architecture at the MOSAIC Fremont Blue Port Coquitlam rowhomes include bold blue shingles, red brick and angled rooflines. The Port Coquitlam Fremont Blue townhome location is ideal, being just steps from the beautiful PoCo riverside areas, top rated schools, transit, parks and of course, a completely bridgeless commute into Vancouver and downtown. The presentation centre at Fremont Blue Rowhomes will be opening at 2332 Ranger Lane Port Coquitlam in the Fremont Riverside District. More information can be found online at www.mosaichomes.com/fremont today. Please register your interest. The Port Coquitlam FREMONT HOME STORE and its three display homes are opening in May 2013 with advanced previews before then. The prices will start from the mid $300’s for 2, 3 and 3 bedroom rowhome style residences. FREMONT at Port Coquitlam is MOSAIC’s second riverfront master planned community and is brought to the market by one of the most trusted and experienced builders. The Port Coquitlam FREMONT HOME STORE is located at 2332 Ranger Lane PoCo just beside the Pitt River and steps from the Traboulay Trail. Nearby is Fremont Village with 650,000 square feet of new retail space! 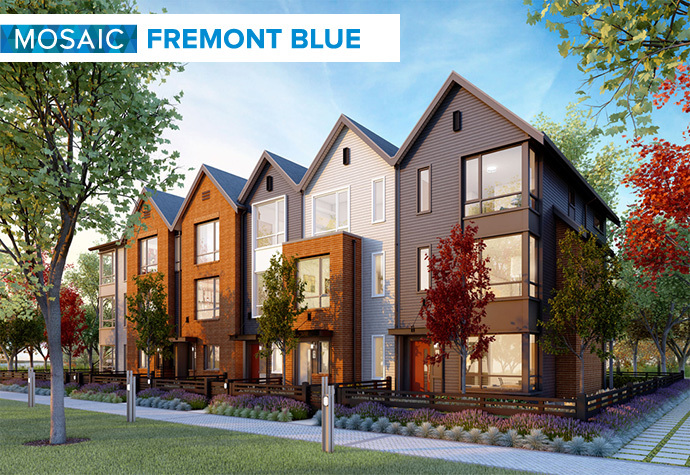 The Fremont Blue Rowhomes by MOSAIC will be built to Built Green Gold standards and all homes will come with the MOSAIC’s home warranty of 2-5-10 years. As mentioned above, the new PoCo Fremont Blue townhouses will be the first phase in the master planned Fremont Riverside District in Port Coquitlam, Tri-Cities BC. Here, residents can enjoy an amazing FREMONT RIVERCLUB amenity space along the water’s edge. This private clubhouse for Fremont Port Coquitlam residents will be home to over 12,500 square feet of top rated five star hotel style amenities. The Fremont Blue Port Coquitlam townhome residents can enjoy the FREMONT RIVERCLUB gym for pick up basketball, badminton and floor hockey in addition to the fitness studio for running, stretching and working out. 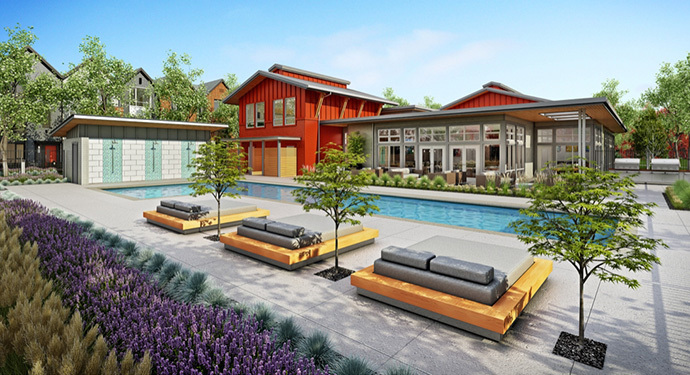 As well, the FREMONT RIVERCLUB at Fremont Blue PoCo real estate development will have a beautiful outdoor lap pool that is dedicated to swimmers and a kiddie wing for toddlers. The pool deck will have day beds and an outdoor BBQ/cooking area too. The great room at the PoCo FREMONT RIVERCLUB at Fremont Blue Rowhomes by MOSAIC will have a social space with a big screen television, social lounge area, pool table and an entertainment bar and kitchen area. The kid’s zone is where children can play all day and night and will include an indoor pool area, park and playground outside. But for us, one of the best attributes at the MOSAIC Fremont Blue Port Coquitlam rowhomes is the fact that you are just literally seconds away from tonnes of outdoor recreational options that include the Traboulay Trail, green spaces and urban parks as well as the riverside district. On site at the FREMONT RIVERCLUB you can enjoy the dog wash bays and the bike share program for cleaner living. There are also garden plots, a meeting room, and a resident caretaker. The Fremont Blue rowhomes will have superior features and will include kitchens with a stainless steel ensemble (self cleaning oven and range with fast boil elements and an Accubake system, over the range microwave/hood fan combo, counter depth fridge with French doors and bottom mount freezer –optional – and Energy Star rated as well as a 5 cycle dishwasher that is also Energy Star rated). The other kitchen features include a Hansgrohe dual spray pull down faucet in polished chrome, double bowl stainless steel sink undermounted with optional quartz counters and an under the sink, 2 bin slide out recycling/garbage system. The backsplash will be tiled with beautiful glass tiles and there will be durable laminate counters (standard) or slim profile polished quartz counters (which is optional). The PoCo Fremont Blue rowhomes will also have contemporary flat panel cabinets with brushed stainless steel pulls and a full height pantry. There are soft closers as well as breakfast or tech nooks depending on the floor plan. The Fremont Blue PoCo townhomes will have high volume nine foot ceilings on the main level and sunken living rooms with 10 foot ceilings in select floor plans. The stairway walls are also pulled back so that more light goes through and there is track lights and recessed pot lighting throughout the residences. 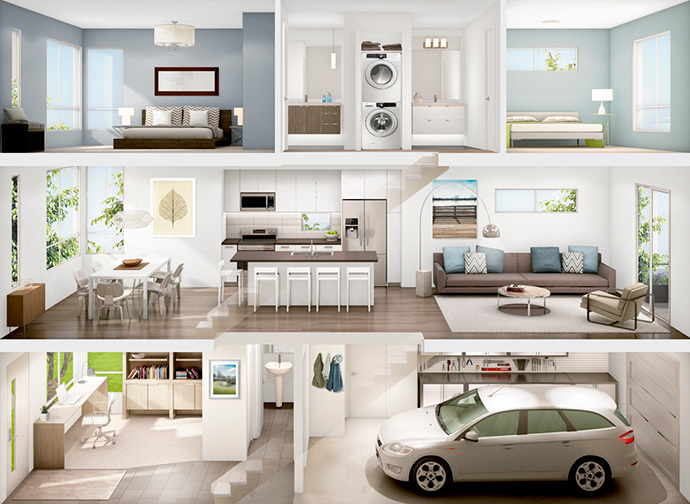 The new MOSAIC Fremont Blue PoCo townhomes will also have stacked or side by side dryer and washer in laundry closets and the master bedrooms will be large enough for king sized beds. The bathrooms, laundry and entryway will have porcelain tiled floors and the main level living spaces will have laminate floors. The bedrooms will have 32 ounce loop pile carpets. The master bedrooms at the new PoCo Fremont Blue townhomes will have full wall or walk through his and hers closets with individual over head lighting. The bathrooms at the Port Coquitlam Fremont Townhomes by MOSAIC Homes will have beautiful floating vanities with soft under cabinetry lighting as well as plan specific his and hers sinks. Other bathroom features include contemporary flat panel cabinetry with soft closing doors and stainless steel hardware. Other features include Toto dual flush modern profile toilets and large porcelain tiled floors. The presale Port Coquitlam Fremont townhomes will also have walk in tiled showers in the ensuite baths and soaker tubs in the main bathroom. There are white ceramic sinks and Hansgrohe single lever faucets in polished chrome finish. The counters are like the kitchen: laminate (standard) or quartz (optional upgrade). There are pedestal sinks in the ground level bathrooms that are floor plan specific as well as additional pendant lighting in the ensuite.